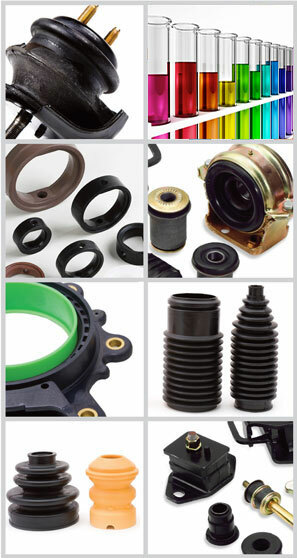 Our business is Rubber Mouldings; the design and manufacture of Precision Rubber Components in the full range of rubber compounds, from Natural Rubber to synthetics including Silicone, Neoprene, Polyurethane, EPDM… whatever material you require for your specific application we always use high quality grade materials from British rubber suppliers. We produce components for a wide range of requirements, from items such as seals, gaskets, o-rings, washers and ferrules to highly complex, one-off bespoke rubber mouldings for specialist projects. Pre-production component samples can also be also manufactured, where required, to ensure materials and products meet your own specifications. With a flexible production process and all our parts made on site, we can accommodate both small and large batch quantities, with production schedules and delivery times arranged to meet the most demanding of programmes. And if you need help selecting the right materials to use for your rubber components, we can provide practical, reliable advice based on our wide experience in the rubber mouldings industry to find you a cost effective solution. In a nutshell, our products are what you want them to be: quality precision rubber components manufactured specifically to meet your individual needs.